The Penobscot Narrows Bridge observatory. 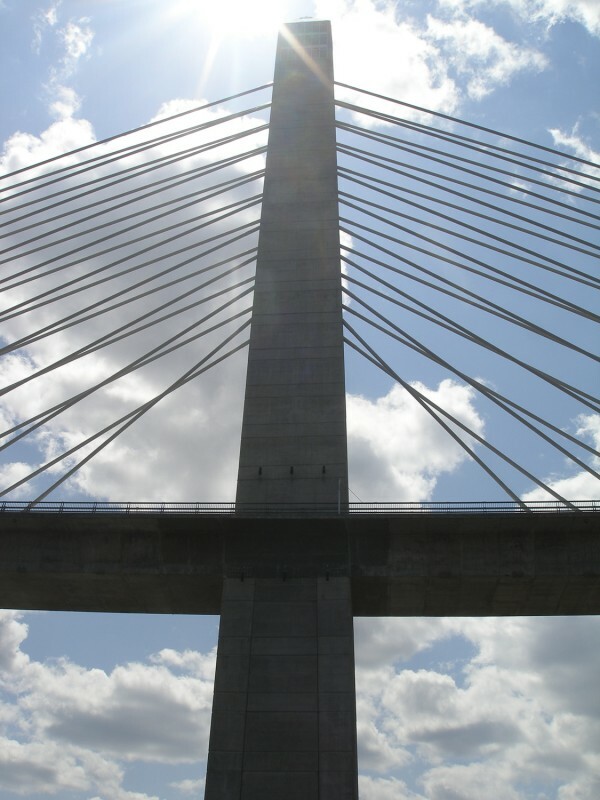 PROSPECT, Maine — Thirteen people got more than their tickets’ worth Tuesday afternoon after elevator doors stuck temporarily and trapped the people at the top of the Penobscot Narrows Bridge and Observatory. Maine Department of Transportation spokesman Ted Talbot said that while the elevator was functioning properly, the doors would not open. He said that a member of the operations staff climbed the stairs to the top, unlocked the doors, and brought the visitors down at about 4:20 p.m. He added that the rescue was about an hour after the the problem was discovered. Talbot said no one was injured, and he was on the phone with Maine Department of Transportation staff when the doors were opened. “There was a lot of clapping and cheering,” he said. Tuesday was not the first time people have been stranded at the observatory. Since the bridge and observatory complex opened in 2007, there have been several instances of elevator problems. However, many of those problems have been attributed to computer glitches.